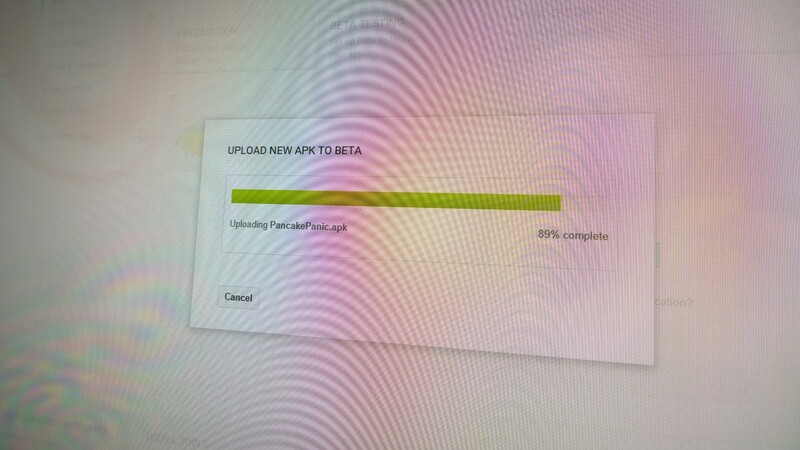 Uploading the first version of Pancake Panic for testing. A bit of a bitty day on Pancake Panic today, but we’ve accomplished loads (the end of project development is always a bit like this). First up – if you’re an Android user and would like to test the game before it’s released, please sign up here. Today, we’ve implemented the “most recent score” and “highest score” system to give the player feedback once they have finished the game. So we have a start screen (which displays the player’s highest score to beat), and an end screen (which display the most recent score, as well as the high score), and we allow players to jump right back into another session. We’ve also been plugging in an advertising SDK in order to monetise the game. To get us started off, we’re using Unity’s own advertising network for iOS and Android, displaying a short video advert whilst the game loads (skippable, of course). It’s the first time we’ve had to deal with platform specific code during development, so there’s some code that checks whether or not the game is running on Android or iOS (and if so, show an advert every fifth game), or whether it is running on Windows Phone (in which case, don’t show an advert). We’re taking a different approach with Windows Phone, in order to work out what works out the best, with revenue and users. We’ve also been adding some more animations into the game, alongside sound effects to bring the game to life. One of the things we want to do, is to make the area outside the kitchen window appear alive (with clouds drifting past, maybe have Alfie and Molly’s balloon drift by, as a shout out to Bad Day for a Balloon Ride). I’m hoping to have time to implement these ideas, but if not they’ll come as an update. The only real nightmare has been testing some of the platform specific stuff. The in-Unity player doesn’t seem to report which platform we’re currently testing for, so the only good way to do it is to test on a device, but it’s time consuming to keep building and exporting. But still far more efficient than building three versions of the game :). On a positive note, though. We do now have a game that runs on three platforms, and we’ve done it in (less than) a week! 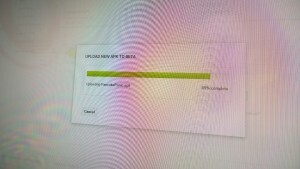 Test, test, test… Fix, fix, fix… UPLOAD! Plus, we need to get to work on our store listings. We’ll be hitting Windows Phone and Android first, with iOS following a couple of weeks later (we need to get hold of a Mac Mini for the office).